Staff at Napier Street come from diverse backgrounds, ages and professions. Roles include nursing, personal care, catering, recreation and lifestyle, administration and more. We have grown considerably over recent years and our team of about 80 staff are employed in a collegial and supportive workplace environment. Our in-service education programme focuses on up-skilling staff to reach their maximum potential. Permanent part-time and casual positions regularly become available. Potential applicants are encouraged to complete a covering letter detailing your current address, telephone contact details and the position sought, address your application to the Chief Executive Officer, attach this to your resume and email to care@nsacs.org.au. 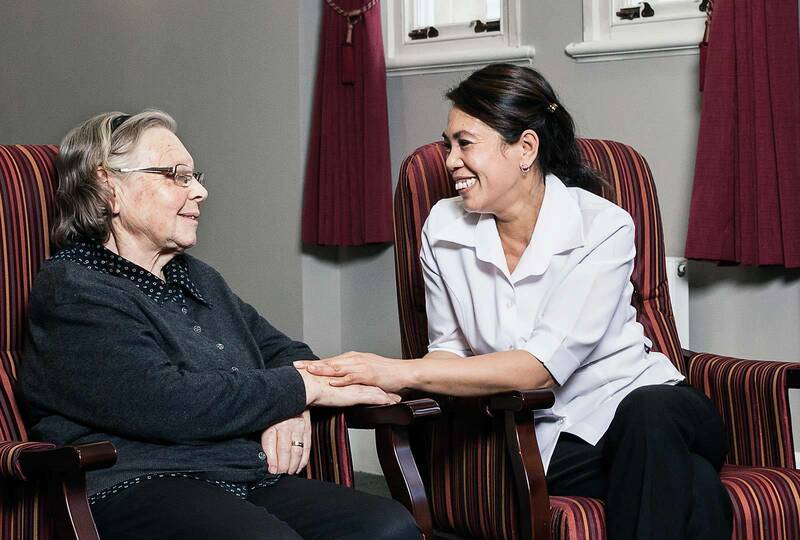 Napier Street Aged Care Services is proud of its permanent and casual bank of staff. We do not use any agency staff to fill shifts.